Going on vacation with your au pair can be a flexible option. 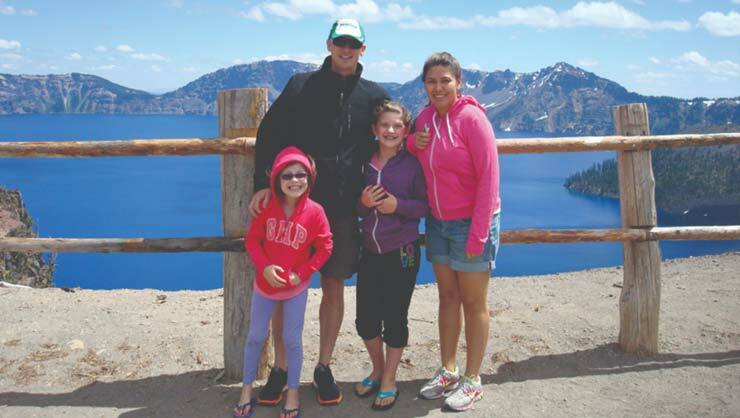 Families who are new to the au pair program often want to know, "Does our au pair go on vacation with us?" This is a great question, and has more than one right answer. As a family looking to take a vacation, you have three main options. Take your au pair with you, and they can help you watch the kids. Take your au pair with you, and it can be their vacation too. Travel without your au pair. They can stay at home and relax, or travel elsewhere! 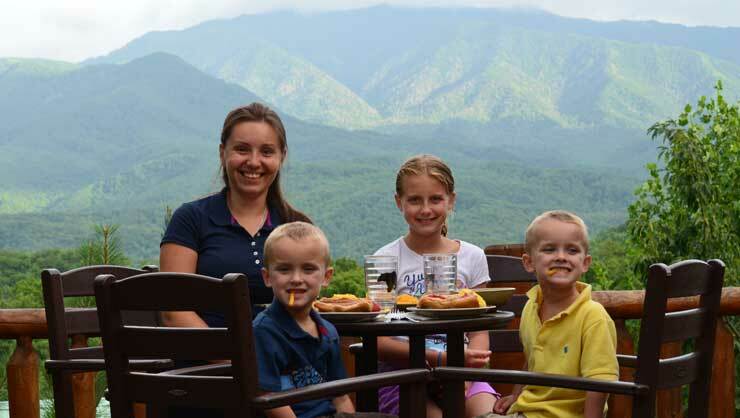 The majority of our families choose option one – traveling with their au pair. Taking your au pair on vacation can be a great experience for the au pair, the kids, and you. Your au pair is an extra set of eyes when kids are running wild at a theme park, and can even build forts with the kids in the hotel while you enjoy a well-deserved, kid-free date night. Here are some tips to help to make this experience the best it can be. Be sure to communicate! If your au pair is very excited about the vacation, they might not be prepared for the exhausting task of traveling with kids. You will probably have a blast, but it will be a lot of hard work, so discussing challenges ahead of time will help to align expectations. This is not your au pair's vacation time! 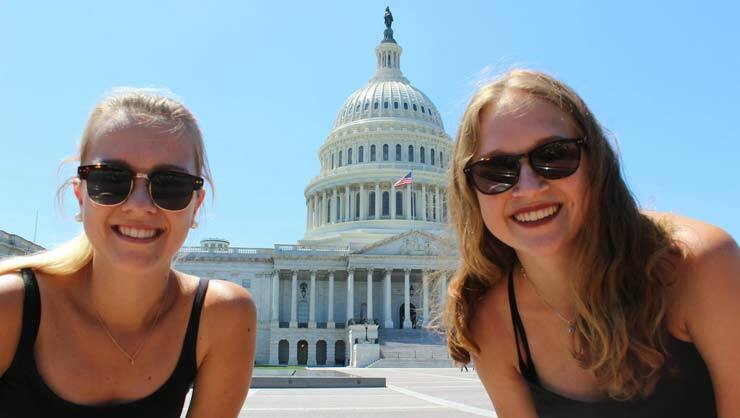 It's great that they are traveling, but if your au pair is providing child care, then they are working. Be sure to discuss future vacation scheduling so that you are not blindsided and your au pair gets a chance to rest. We recommend waiting until your au pair has been with your family for long enough to acclimate to a routine before taking a vacation. Vacations are sure to be a time of loosened rules and extra indulgences, so starting off your year with this attitude may set the wrong tone. When you invite your au pair along on vacation, the same program rules that apply at home still apply – you must provide room and board. Don't forget that your au pair needs their own room! Consider the cultural aspect of your vacation, even if it is more about relaxation and fun than learning. If you're from New Jersey and visiting California, think about the regional differences and how you can expose your au pair to those. Your au pair should not be expected to pay for any aspect of the vacation. Your au pair will appreciate seeing new parts of the USA with you. You can also make it a vacation for everyone! If this is the case, consider this. Your au pair still needs to receive a stipend, have their own room, and receive three meals per day. You are still hosting your au pair – just not in your normal home! If this is truly your au pair's vacation, they can't do any work and should feel free to relax. If you are, say, taking toddlers to Disney World, then this may not be possible. Would it bother you if your au pair laid out in the sun with earbuds in, split from the group to ride a roller coaster, or slept until noon? If so, you might want to consider asking your au pair to be "on duty" for this vacation. When you invite your au pair along on vacation, the rules at home still apply – you're expected to provide room and board. Don't forget that your au pair needs their own room! Au pairs also enjoy traveling alone or with their peers. While it's nice to travel with your au pair, you may have a reason to travel by yourselves. If this is the case, here are a few things to keep in mind. You can't impose a vacation on your au pair. You can discuss planned vacation dates in advance, and if your au pair agrees, then your au pair can count those dates as vacation. We want to make sure that au pairs are able to use their vacation time to explore the U.S., so your au pair will need ample time to plan the trip in advance and possibly coordinate with friends. While we encourage au pairs to travel, au pairs always need to have the option to stay in the home. If you are going away and your au pair will be staying at home, make sure that there is enough food (or enough money) for three meals per day. If your au pair is going to go away on a vacation, talk to them about it! They are probably not familiar with traveling in the U.S., and would appreciate any advice you have.